LeBron James may be an active part of the playoffs once again. In fact, there's a better chance you see him more often than you'd think after his Lakers failed to make the postseason. When you're in the playoffs, you play every other day at most. When you're an analyst, however, you're always around. That's why we've gotten to see so much of Charles Barkley over the years. It's no guarantee, but we may possibly see James join Chuck in the studio on 'Inside the NBA'. It's not like he's busy doing anything else this postseason. If anything, he has to be looking for things to do. That's what happens when you miss the playoffs for the first time in 13 years. 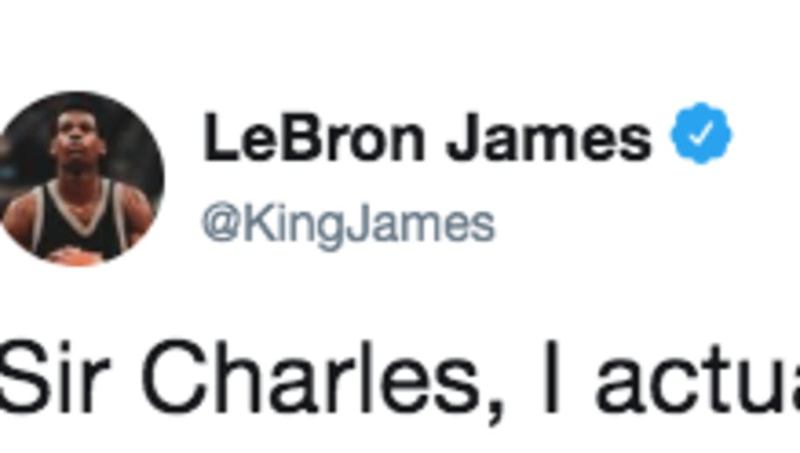 The possibility of seeing The King on TNT stems from Barkley asking LeBron to come on the show. It did come with a slight joke at LeBron's expense, saying he had to choose a GM and a coach, but otherwise, he genuinely wanted James to come on the show. Why wouldn't he? It would be great for ratings. ️Charles Barkley: Lebron, PLEASE, we're begging you, come into the studio and do the show!! ––I know you gotta pick a coach & general manager but put that on the back burner. You ain't got nothing to do and you got free time." ​​The man has plenty of experience in front of the camera. Whether it's television shows on HBO, movie appearances staring looney toons, or his infamous decision, LeBron certainly knows what to do with a mic in his hand. We already know the ​chaos that happens on a nightly basis on that show. Imagine what'll happen with LeBron in the mix.